Updated Tuesday July 10, 2018 by Alex Mendoza. How to apply for Ace Certification. Follow this step by step walk through to get your Ace Card. 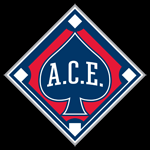 EVER MANAGER, COACH AND TEAM PARENT/VOLUNTEER MUST HAVE AN ACE CARD TO BE ABLE TO STEP FOOT ON THE FIELD OR BE IN THE DUGOUT! !